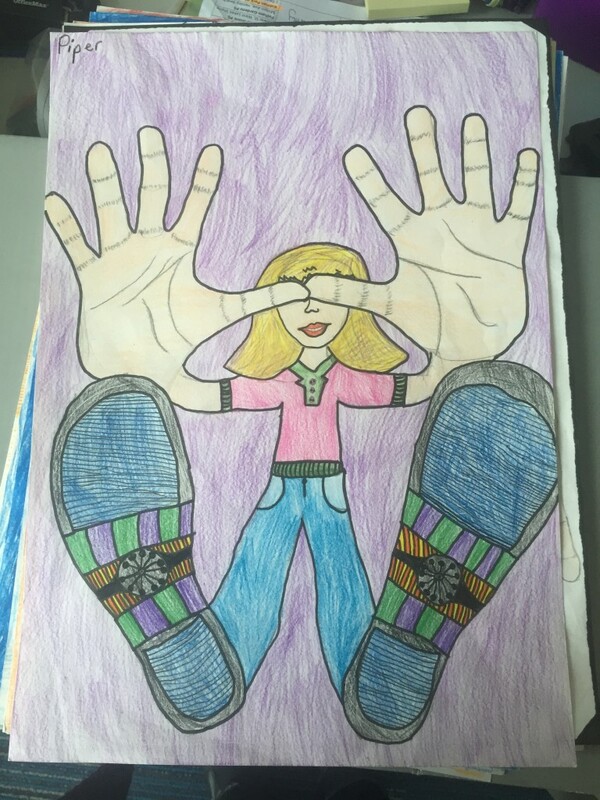 Falling for Foreshortening Art – Mrs Baldwin's Class Blog! 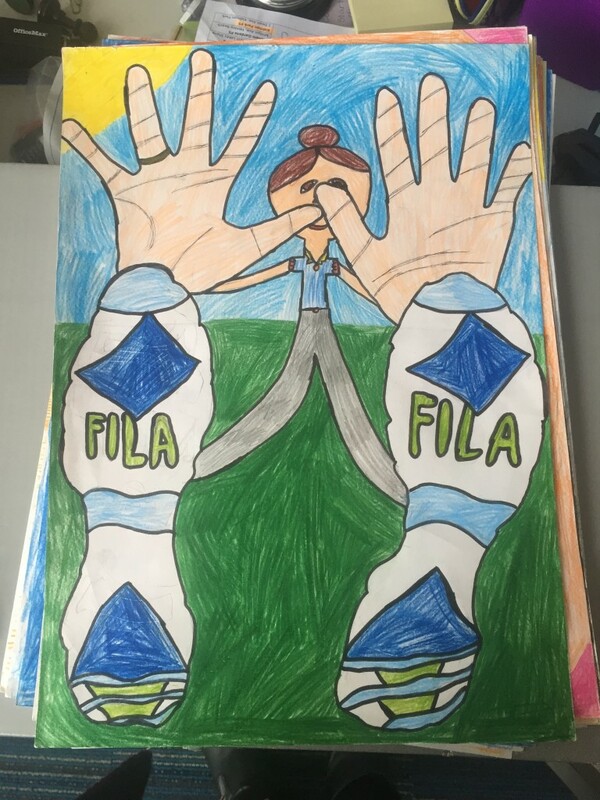 For our latest art project we learnt about the concept of foreshortening. Foreshortening is the optical illusion that occurs when a part of something moves from one part of space to another. 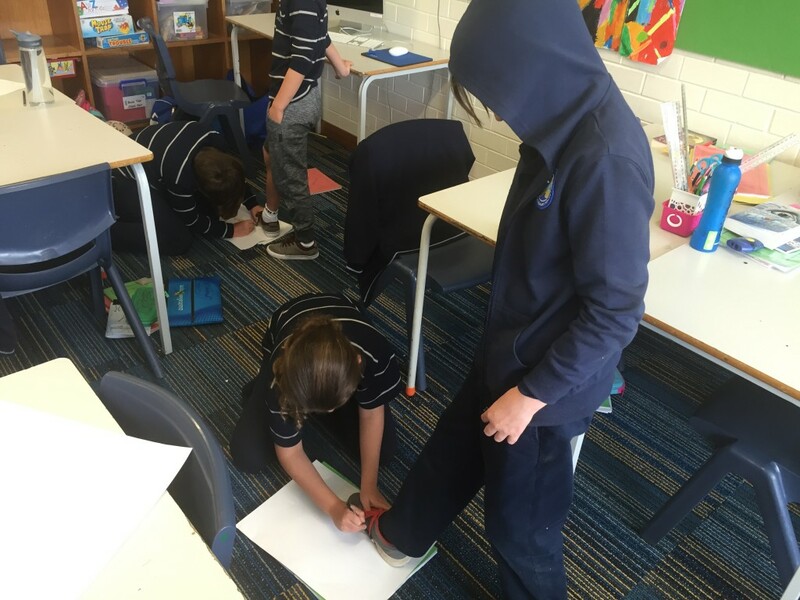 For this project we traced our feet and hands on a paper. 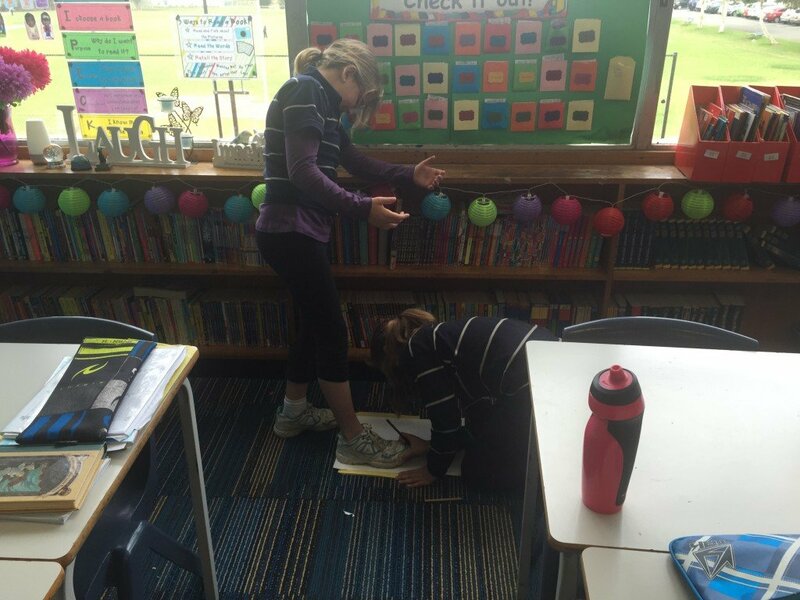 We had to work with a partner to help us with the tracing. 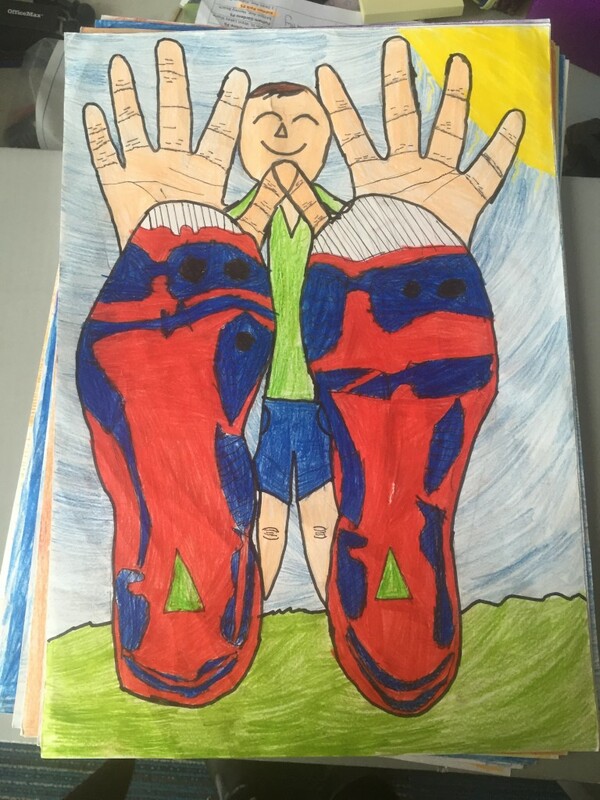 It was very important to make sure both the hands and feet fitted onto the paper and were placed correctly onto the paper. 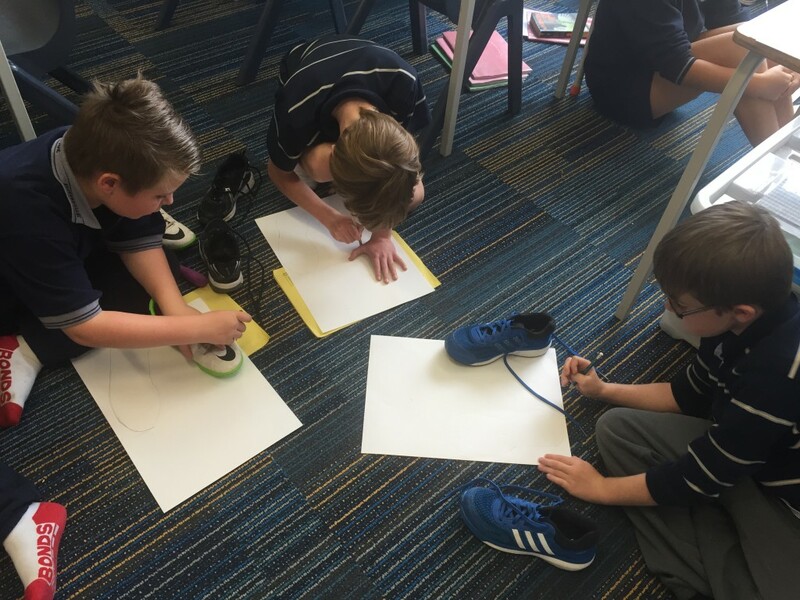 We then had to carefully create the print of our shoe sole onto our outline of each foot. Mrs Baldwin was very impressed with how everyone took their time with this and made sure that the patterns looked like the sole of a shoe. 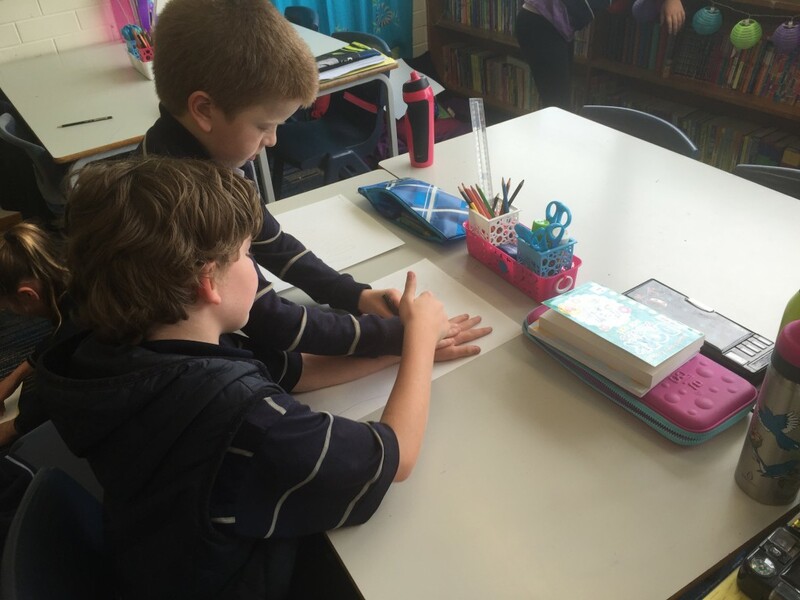 We then had to draw the main lines that we could see on both hands. Finally, we drew our arms, legs, body and head to create the illusion that our body was further away then our feet and hands. The images all ended up looking like our bodies were falling toward the viewer. Mrs Baldwin is blown away with how these art projects have turned out and everyone did a FANTASTIC job! 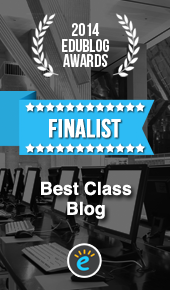 They will be hanging around the room very soon for everyone to admire. 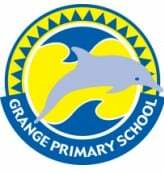 What did you enjoy the most about this art project? What did you find the most challenging and why? Have you ever done an optical illusion art project before and if so what was it? 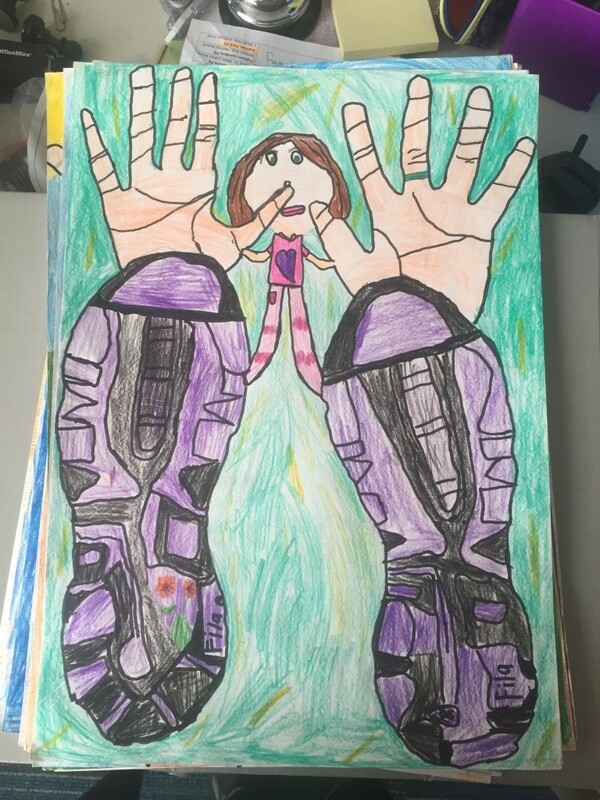 DearMrsBaldwin, the thing i enjoyed the most about the art project was drawing the hands and feet. Dear Mrs Baldwin, the thing i found most challenging about the art was colouring the background. 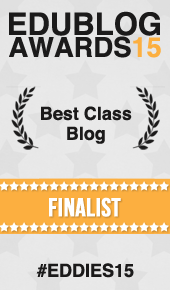 I found it most challenging because I never finished it. One thing I enjoyed most was working on something I’ve never done before. 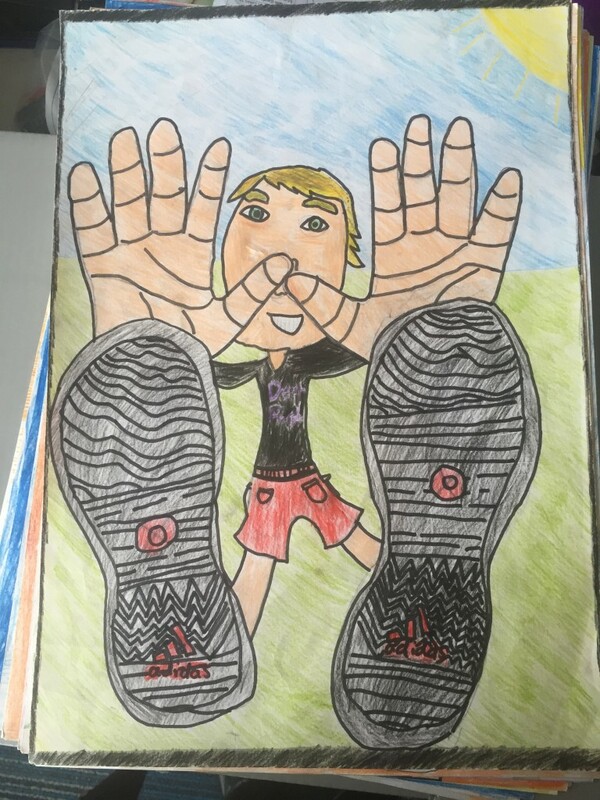 I enjoyed colouring the background and the shoes i especially ENJOYED the outlining of the shoes and hands and having to get it perfect. My favourite bit of the art project was doing the body and shoe grids. The thing that was most challenging thing was doing my partners foot outline. I have done an optical illusion before doing a line hand thing. 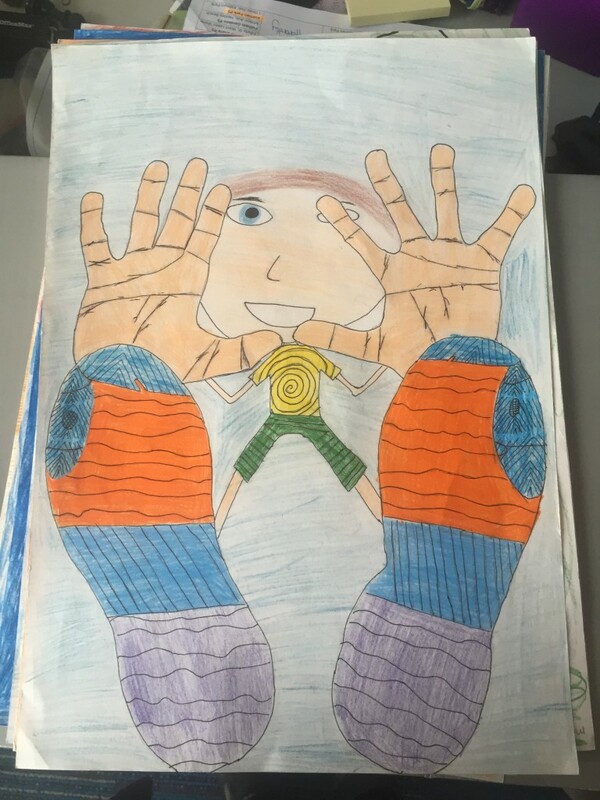 The thing that i enjoyed the most about the art was drawing the face with the hands covering the eyes.What i found the most challenging was drawing the hands and the feet first and then drawing the face in between them. The thing i enjoyed most about this art project was creating it. the thing i found most challenging was out lining the foot. The thing that I found most challenging was drawing around the hands because if you move it a centimetre, then the whole thing will just mess up. I also thought that drawing around the feet were hard because some shoes curve up in the middle and if you draw around that then the picture will be very thin. The thing that I enjoyed the most was probably out-lining the hand print’s, and I also what I think that is what I did best in the drawing. \the thing i enjoyed the most is that we got to disjoin the shoe and it was very fun to because it was what you wanted to do. I liked the art because it was fun and enjoyable . Copying my shoes and hands. I liked the way we did the shoes ands hands but the background was a bit little bit new. 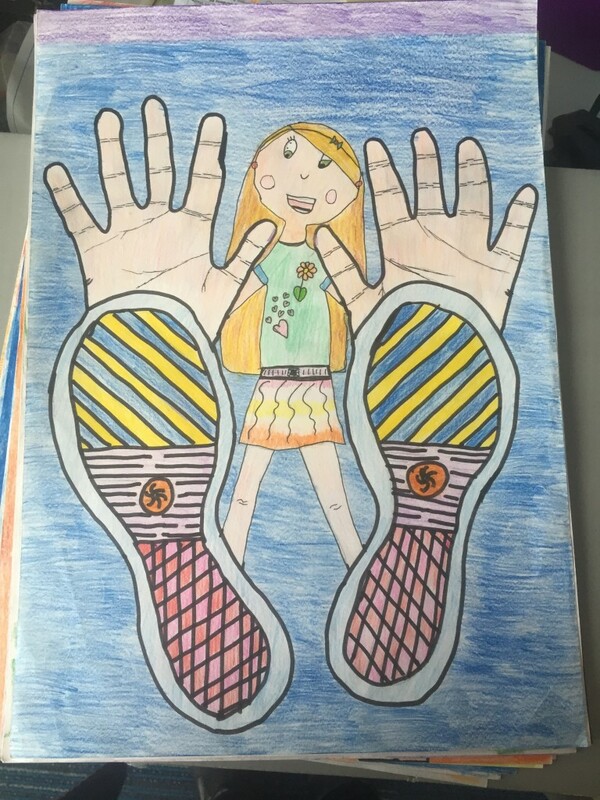 the thing i like the most about the art project we did is that we used are feet and hands.And i also liked that the person is falling into the page. Dear Mrs Baldwin I mostly enjoyed when we coloured the picture and when we drew my legs and arms. I liked doing my legs more because I think it is funner. What I found the most enjoying about the art project is about me not finishing it. I loveb all ov it. The hud thin is the coin of the fit and hand. Previous Post Can you convince me?